After the Fukushima disaster and the total shutdown of its 54 nuclear reactors (including the six one’s in Fukushima cf. 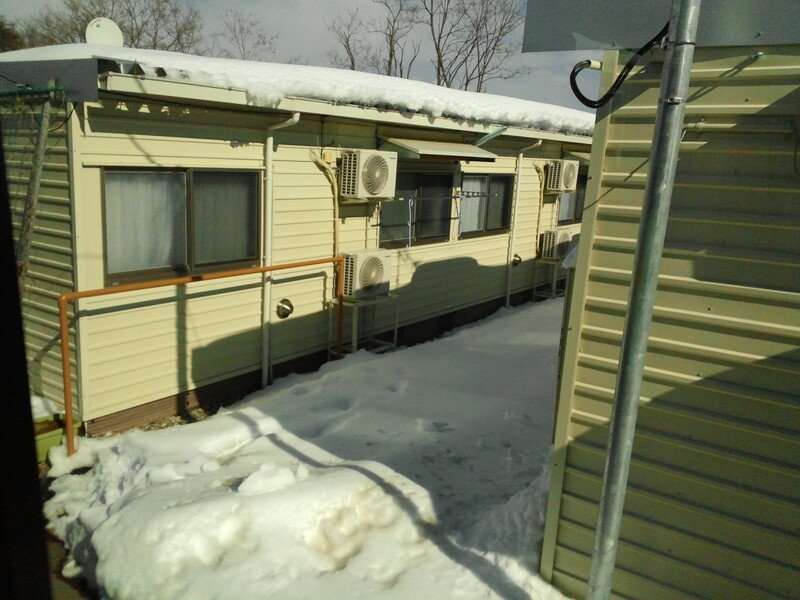 photo source Shimbun- Reuters ), Japan has implemented a plan for saving electricity and offseting its production shortfall by putting into operation thermal power plants, especially coal and gas one’s. In 2014 its thermal park secured 90% of electricity production (43% with gas and 30% with coal), renewables sources (mainly hydraulics) ensuring the rest. Total production decreased while the price of electricity for households suffered a sharp rise (almost 50% between 2010 and 2013). Imports of gas (as LNG) and coal rose sharply and the Japanese trade balance recorded a large deficit in 2011 for the first time in thirty years. Before March 11, 2011, Japan’s « Plan for energy 2030 » had forecasted the doubling of nuclear electricity share (from 30 to 50%). It was obviously undermined and after long discussions in which various scenarios were considered, the share of nuclear in the electricity mix was a focal point (the electricity mix with or without nuclear energy). 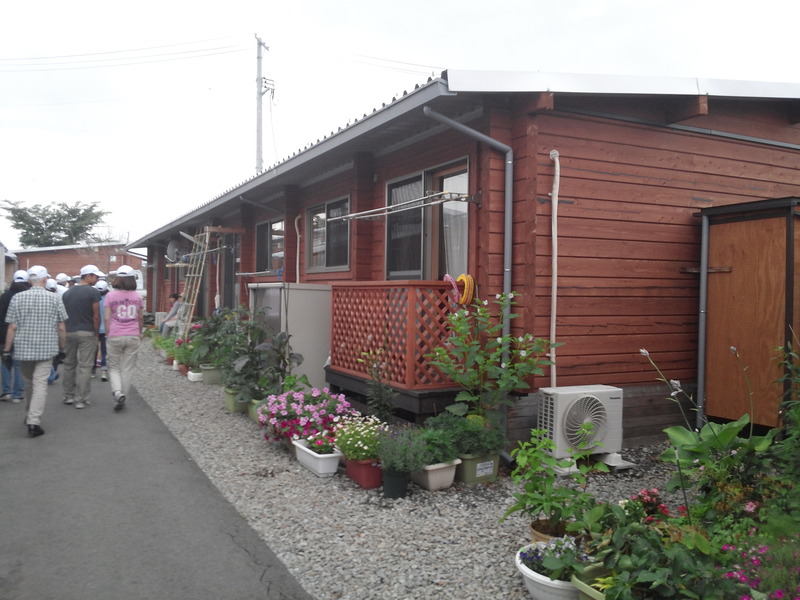 Japan had developed since the beginning of the century plans for its energy strategy (Basic Energy Plan, or BEP, cf. Y. Vinh, “Japan: what energy mix after Fukushima” Futuribles Vigie No. 188 March 11, 2016, www.futuribles.com ), a third plan was published in 2010 but the Fukushima disaster has completely reshuffled the cards. The Abe government has officially adopted a new plan in July 2015, after long hesitation. Assuming an annual 1,7% growth of the GDP (probably optimistic), it sets a Japanese self-sufficiency 24.3% target in primary energy in 2030 and highlights the need for economic efficiency energy supply of Japan (energy « reliable » and cheap) but the key point for the electricity mix being the partition between nuclear and renewable energy. In a context where public opinion is most likely largely hostile to nuclear energy, the government stated that « dependence on nuclear electricity will be reduced as much as possible. » The result is a rather ambiguous plan for sectors contributions in 2030: – nuclear energy in the range of 20 to 22% – renewables from 22 to 24% – 56% of fossil fuels (27% gas, 26% coal and 3% oil). The demand for electricity will increase slightly by 2030 (980 TWh instead of 967 TWh in 2013 but with a declining population, it represents almost double that of France). Many commentators have pointed the blur on estimates of the renewable share in this plan, opponents to nuclear energy contending the government’s will to revive this sector. The share of nuclear power remains, in fact, important in the government plan which implies reactor restarting (43 being potentially operational) with a life span fixed at 40 years (extendable to 20 years for some of them) and with the construction of three new ones. Indeed while Japan has created, after Fukushima, a new Nuclear Regulation Authority (NRA), a priori more reliable as being independent in principle from ministerial authorities, nuclear opponents emphasize the seismic risks for several plants. If the government allowed (after prefectures agreement) restarting of four reactors, two of them barely restarted in 2016 have been stopped after a court decision in March. The nuclear battle will be difficult for the government especially as the decontamination of the Fukushima area around the plant is far from being finished, and as ​​the dismantling of four destroyed reactors will take between 3 to 4 decades (see D.Normile, « Slow Burn », Science, vol . 351, p.1018, 4 March 2016, www.sciencemag.org and M. Sugiyama, « Research management: five years on from Fukushima. », Nature, vol 531, p; 29, 02 March 2016, www.nature.com, about 100 000 refugees still cannot return to their homes in the prohibited area. Japan also plans to develop new reactors, especially a breeder with the experimental sodium-cooled Monju prototype which is struggling for years with serious difficulties and a thorium molten salt project (the Fuji experimental reactor, cf. 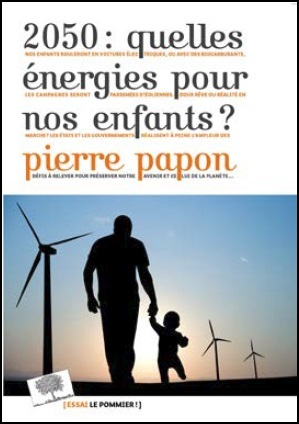 P.Papon « innovative reactors », Futuribles, No. 411, p. 107 March-April 2016, and P.Balava « Thorium seen as nuclear’s new frontier, Science, vol. 350, p.726, 13 November 2015). The renewable energy contribution to the electricity mix deserves also several comments. Hydroelectricity keeps a significant share (10%) with an uncertain distribution contribution of other sectors: a significant part for the solar photovoltaic (7%), with a relatively low wind power contribution (1.7%) and of geothermal energy (1%), and a significant share of biomass (between 3.7% and 4.6%, mostly vegetable waste for thermal power plants). We shall observe that Japan, the countries of the « Rising Sun », has made a considerable effort for solar energy, its installed capacity rising from 2.5 GW in 2010 to 23 GW in 2014 (with 10 GW installed in 2014 with a total 69.4 GW approved for four years). Japanese technology for solar cells is prominent, but China and South Korea having taken hold in the market. The lack of emphasis on wind power can be explained by the land high price and by the cyclone risk. Offshore wind projects are rare because of the narrowness of the Japanese continental shelf, meanwhile as far as marine energy is concerned, Japan will launch an experimental marine current turbine off the Nagasaki coast of in cooperation with the DCNS French company in Cherbourg. The weak geothermal energy contribution is also rather surprising, it could be explained by the fact that hot springs are mostly located in protected national parks (the onsen industry, or spas, opposing strongly also boring wells for industrial use). The plan for renewable energy is both approved and disputed (see the interesting Japan Eco France, journal, winter 2016, « Energy and climate » www.ccifj.or.jp/publications/france-japon.eco ). Many industrialists believe that it plan will provide opportunities for industry to develop renewable energy technologies but they also emphasize that it will have a high cost, solar energy being so heavily subsidized (42 yen per kWh or 3.4 € / kWh ! The government has decided to reduce this rate to 27 yen). 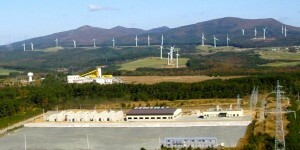 Other commentators stressed that Japan retaining a significant coal portion in the electricity mix will have to struggle to cut its CO2 emissions; indeed at the occasion of the COP 21, it announced that it would cut by 26% its greenhouse gases emissions by 2030 compared to 2013 (18% compared to 1990, Japan being the No. 5 world -emitter), which is considered as a lack of ambition by many scientists. Finally, the energy plan forecasts a restructuring of the Japanese power grid which is necessary, it implies a reduction of the number of operators (currently ten, with Eastern companies producing 50 Hz electricity current and Western one’s at 60Hz). Japan has serious advantages for implementing its energy strategy. It supports a significant R & D effort on energy (accounting for 12% of public expenditure on R & D) so it is the world leader in research on solar photovoltaic and probably on batteries (he is experimenting a stationary storage battery for wind farms with sodium-sulfur batteries 250 kWh, see photo). Moreover Japan is betting on hydrogen technology, especially for electric automobiles equipped with fuel cells (see our previous blog where we expressed serious skepticism about the future of this industry, P.Papon « hydrogen, an energy system between promises and uncertainties » Futuribles Vigie, January 2016 www.futuribles.com). In the ​​biofuels area, Japan relying on its expertise in the field of algae, wants to experiment with biofuels produced from algae, intending to mix them with kerosene for aircraft fuels. Finally, Japanese oceanographers have succeeded, in 2013, drilling ocean bottom to reach a methane hydrate « pool », which could degas for several days, its operation being, however, not the order of the day. Similarly although Japan is considering the possibility of storing CO2 from power plants, it has not yet made a breakthrough in this area. It will be important to monitor the implementation of Japan’s energy policy in the coming years as it raises several important questions: – can a country with high seismic activity that has undergone a very serious nuclear accident revive this sector with serious opposition of its public opinion? – how will Japan manage to reduce its CO2 emissions in order to meet its climate mitigation commitments? 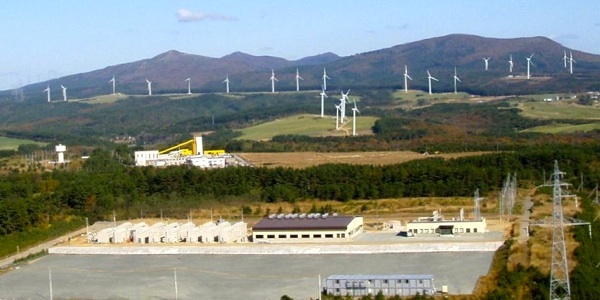 – will Japan break new ground in the field of renewable energies in particular for the storage of electricity, will it find a balance between centralized and decentralized production modes? – will it be able winning its bet on hydrogen technology? The answer to these questions depends on both the governmental voluntarism and the ability of entrepreneurs to meet the technical and industrial challenges posed by the energy transition, hardly engaged for the time being, and also on the Japanese research dynamism. Electricity : the energy of the future ? L’électricité est-elle l’énergie du futur? Tous les textes de ce site sont, sauf mention expresse, la propriété exclusive de Pierre Papon. Toute extraction, réutilisation, reproduction, totale ou partielle, des éléments de ce site à d'autres fins qu'un usage privé est interdite.